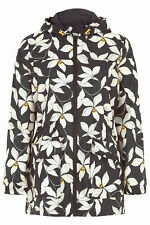 Stunning TED BAKER Multicoloured floral jacket rain coat size 10 (Ted Baker size 2). Condition is Used. Item is Ted Baker size 3 (UK size 12). Seasalt Perranporth Mac in Blue with Red Floral Print. Single breasted, button fastening, pockets, vent to rear of mac and detachable hood. Lightweight Organic Cotton. In very good condition with a mark on the back and one broken cuff button. Lovely coat. Perfect for spring. Brand new without tags. 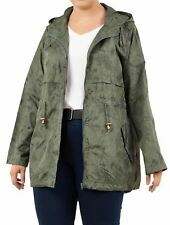 NOA NOA Green Floral Waterproof Raincoat Trenchcoat XL. The colors may vary because of the flash light. care: machine wash 30 C. fabric: 100 % coated cotton. give the best that I can to provide you professional service, so I. By TED BAKER. Y This is a Stunning. Zip detachable hood. 19" From pit to pit. Slightly longer than hip length (Top of thigh). 32" From the top of the shoulder to the hem. 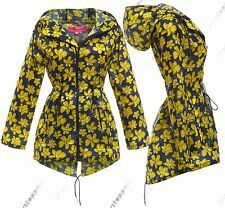 NOA NOA Floral Waterproof Coated Jacket Raincoat Trenchcoat Detachable Hood XS. The colors may vary because of the flash light. condition: very good, neck label is removed. 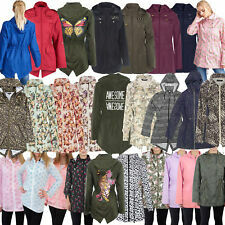 care: machine wash at 30 C.
Tulchan Designer Pink Floral detachable hooded Mac Cotton Trench /Rain Coat Condition is Unworn and perfect. pretty spring coat.